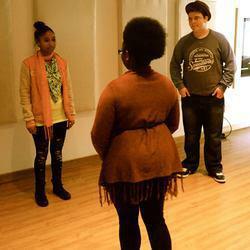 The Africa Voices Trust is a non-profit organisation that supports the development of highly talented young musicians. Through the Africa Voices Programme, the Trust identifies and educates future stars across all musical genres, providing them with the vital skills they need in order to create financially sustainable and meaningful careers. 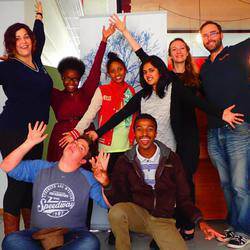 Endorsed by the University of Cape Town, this intensive programme is designed to fast track and elevate local talent to international standards by providing practical experience and high-level mentorship opportunities. Selected musicians are guided through a ten month process in mastering their chosen fields both as a performer and industry professional. Africa Voices actively nurtures youth entrepreneurship and emphasizes the importance of becoming future leaders and socially-responsible mentors within their communities for the duration of their careers. The Africa Voices Trust presents a unique opportunity in developing engaged leadership through the powerful medium of music. Many Africa Voices graduates have been selected to work with leading local and international artists on professional productions and have gone on to achieve excellence in their own careers. The Africa Voices Trust offers educational programmes that teach, through practical experience and high-level mentorship, the skills needed to succeed in the music industry. 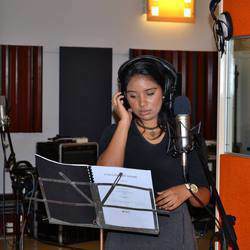 During the programme, singers and musicians are given the opportunity to work on local and international live performance and recording projects. With the support of the entertainment industry we strive to help deserving musicians grow, master their chosen fields and become future leaders and mentors within their communities.